Biofield Pharma Pvt. Ltd. is counted among the best PCD Pharma Companies in India due to the hard work of several years. We provide high-quality, branded and generic medications which are trusted by healthcare professionals and patients in the country. We have the long list of products which are supreme in quality and we manufacture the finest drug and pharmaceutical products in a market. Now, we are a well-known PCD pharmaceutical company, reputed manufacturer, and supplier of allopathic medicines and we offer a wide range of around 300 products which include antibiotics and anti-infectives, multivitamins and minerals, anti-allergic, antioxidants, painkillers, hormonal management and a lot more. If you are thinking to buy top quality pharmaceutical products, then your search can here. 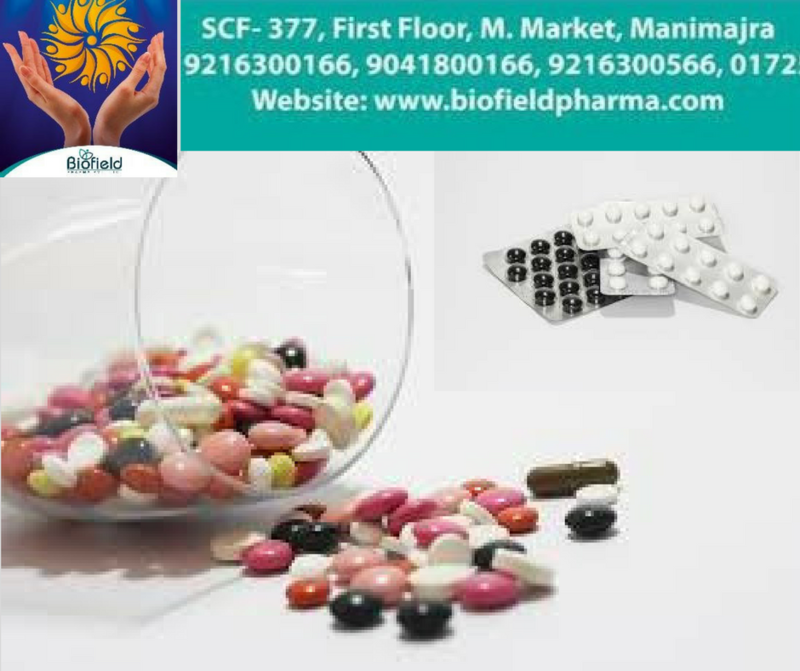 Biofield Pharma, one of the best Pharma Companies in Chandigarh was established in the year 2000 and now we are specialized in manufacturing several medicines in a month which include gynecology, pediatric, orthopaedic, nutraceutical products, general medicines, injectables and much more. We believe in constant innovation and new technology and that’s why we are progressing and becoming more successful in the pharmaceutical industry. If you are looking to invest your money to get the Pharma Franchise in India or to buy PCD Pharma Companies Healthcare Medicine, then we are here to fulfill your dreams. All our medicines are available at affordable prices. Our company is best in the terms of production, positioning, and presence in the domestic arena. So what are you waiting for? Call now to get the high-quality medicines at affordable price.